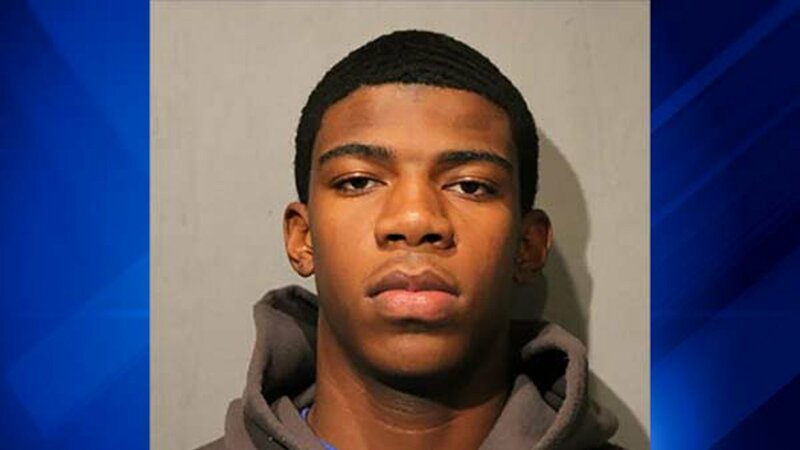 CHICAGO (WLS) -- On Sunday night Noriyhea Evans was celebrating his 18th birthday. The festivities stretched into Monday morning according to police and included a carjacking in Bridgeport. As a 29-year old Chicago Tribune reporter was parked in her company-issued Chevy Malibu on West 31st Street, investigators say Evans tapped her window and ordered her out of the car. Another men got in with Evans and the pair drove off leaving the reporter behind but unharmed. Tuesday night, two days into his 18th year, Evans was curbed by Chicago police on the Northside, allegedly driving that same carjacked vehicle the wrong way on a one-way street. A pair of 16-year-olds also in the car at that time were taken into custody. On Thursday bond was set at $20,000 for Evans who is charged with vehicular hijacking. The required 10% in cash, $2,000, was posted for Evans on Thursday night according to a spokesperson for the Cook County jail. He is also now on electronic monitoring, a condition of bond put in place by Cook County Judge Sophia Atcherson. Because of his age at the time of the crime, barely 18-years-old, police were still able to charge him as an adult. His next court hearing is December 12. The reporter was parked outside a donut shop at 749 W. 31st St. in Bridgeport when she was carjacked. The incident was among dozens of recent carjacking's across the city. Police sources say that Evans juvenile history made him known to the CPD.